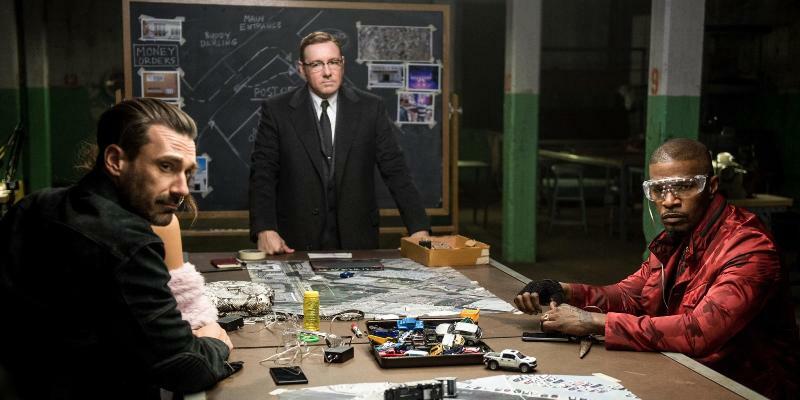 Baby (Ansel Elgort) is the driver for an ever-changing roster of heist teams, led by Doc (Kevin Spacey). Baby is in debt to Doc, but is just one job away from being square, which makes it a fairly inopportune point in his life to meet and fall in love with Debora (Lily James), a waitress at his local diner. 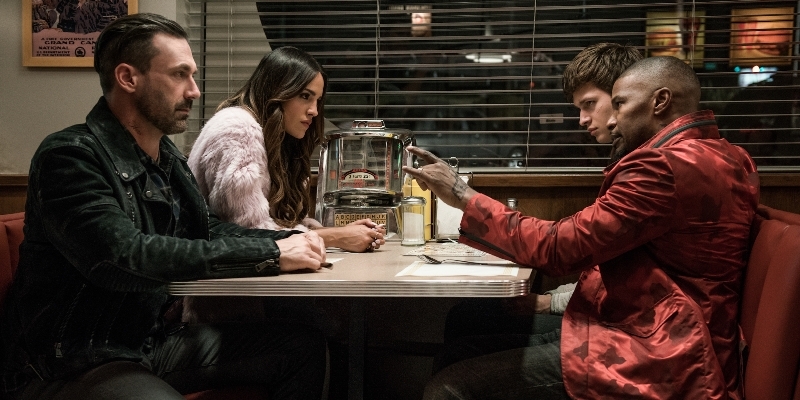 When Doc makes it clear he has no intention of letting Baby, his lucky charm, out of the gang, Baby finds himself in a tricky situation, stuck in a world of criminals including Buddy (Jon Hamm), his wife Darling (Eiza González) and the self-proclaimed crazy guy Bats (Jamie Foxx). Oh, and as a child Baby survived a car accident which killed his parents and left him with permanent tinnitus, something he can only drown out by constantly playing music. I often describe Edgar Wright as my favourite director working today, and after Baby Driver I shall continue to do so as I’ve loved all five of his feature films since Shaun of the Dead. 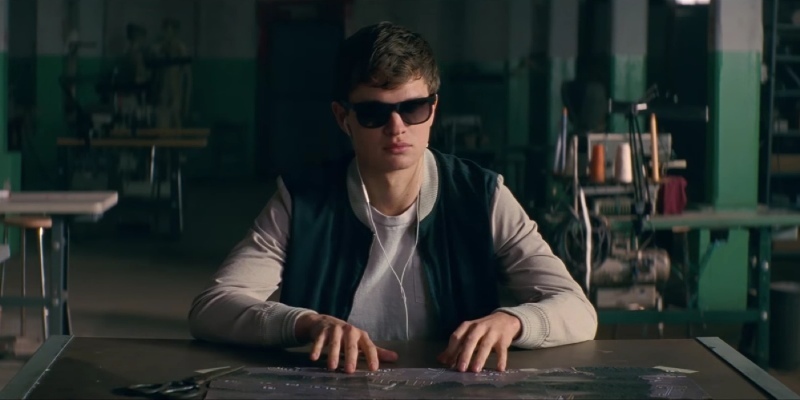 As seems to be the popular consensus, Baby Driver is by default my least favourite of the bunch so far, but given I’ve only watched it once compared to at least thrice for his other films (many more for the Cornetto trilogy) then I wouldn’t be surprised if this rose in the standings after a few more gleefully-welcomed repeat viewings in the next few years. It’s fair to say that Baby Driver is Wright’s least comedic film. His other four have been comedies first, something else second (horror/romance for Shaun of the Dead, action for Hot Fuzz, science fiction for The World’s End and action/musical/romance/everything else for Scott Pilgrim Vs The World). 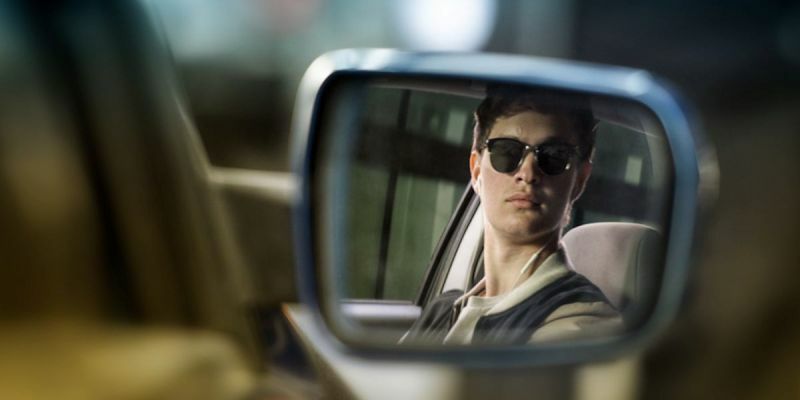 Baby Driver is first and foremost an action-crime movie, with comedic and musical elements all over the place but not at the forefront. This is absolutely fine, but makes it a marginally less enjoyable experience for me first time around. Don’t let me deter you though, it’s still immensely fun and one of the best films of the year so far. The action sequence are particularly enjoyable, especially how they are choreographed to the music Baby is listening to, as indeed is much of the film. The opening heist and ensuing chase, set to The Jon Spencer Blues Explosion’s Bellbottoms, is a highlight, as is a mid-movie shoot-out to Button Down Brass’ Tequila and a foot chase to Hocus Pocus by Focus. The climax, whose song choice calls back to an earlier reference – an Edgar Wright signature – is disappointing only in comparison to everything that came before, leaving a feeling that the action scenes have been laid out in reverse, from most to least impressive, meaning a strong opening but a less than satisfying conclusion. Similarly some of the character development and choices fall apart towards the end, as allegiances and motivations shift thanks to prior events, but in ways that don’t feel wholly believable. However before the final act all the character work is on point, with many actors giving very memorable performances. Spacey is his reliable malevolent self, not doing anything he hasn’t done a dozen times elsewhere, but playing a sinister employer as well as he ever has. Jon Hamm, Jon Bernthal and Jamie Foxx are also all great, and I’ll never complain when Flea pops up in anything. Elgort and James are both good, although they don’t have a lot to do in terms of stretching their acting muscles; they’re more like the vanilla centre, surrounded by more flavourful supporting performances. Elgort excels at the musicality though, dancing up a storm to all sorts of tracks. It’s immensely entertaining watching him rocking out to Bellbottoms in the car, reminiscent of Wright’s music video for Mint Royale’s Blue Song. Speaking of songs, I love the soundtrack, and have already bought it. The fact that it features Golden Earring’s Radar Love, the greatest driving rock song of all time, made it a must-buy, and the moment in the film where it starts playing is one of the best and funniest. There’s more instrumental than I’d normally listen to, but I’m digging it regardless. Like I said, I love the film, and am looking forward to seeing it again. I’m sure there’s a lot of details and ways to enjoy it that I didn’t pick up on first time around, so I’ll be circling back for another viewing before the year is out. 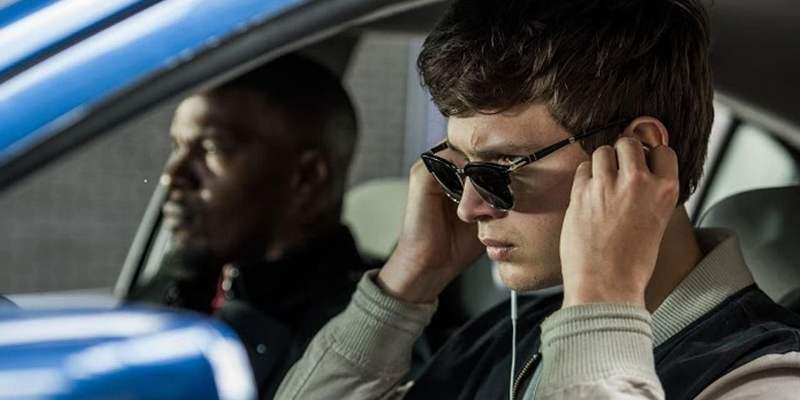 This entry was posted in Choose Film, Edgar Wright, Film-Makers, New Release, Review and tagged Ansel Elgort, Baby Driver, CJ Jones, Edgar Wright, Eiza González, Flea, Jamie Foxx, Jon Bernthal, Jon Hamm, Kevin Spacey, Lanny Joon, Lily James, Paul Williams, Sky Ferreira by jaycluitt. Bookmark the permalink.